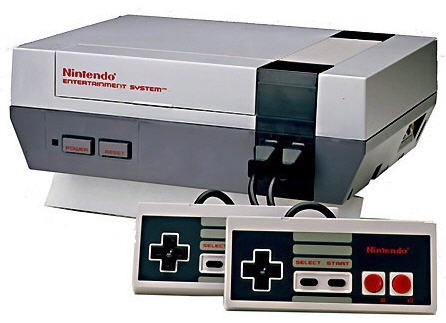 The Nintendo NES turned 25 today, and it doesn’t seem to connect with many people just how important that gray and white box was to this industry. Either they have forgotten, never understood, or simply weren’t around for its launch back in 1985. Most retrospectives on the NES chat up the games, sure. Mario, Contra, Kirby, and Castlevania all spawned their popularity from the 8-bit hardware, generating legacies that still stand. Other retrospectives have fun with the flops, ROB the Robot, Bayou Billy, and Where’s Waldo?. Regardless, we wouldn’t be here without Bayou Billy, and we certainly wouldn’t be here without the NES. The NES saved gaming to the point where I wouldn’t be writing about games without it, and none of the video games sites you read today would be around were it not for the gamble. Nothing we play, nothing we care about, and nothing we defend in the biggest court in the land come November would be here. Back in 1984, gaming was dead, gone, and buried. It was a fad they said, some greedy third-party developers flooding the market with so much garbage for the Atari 2600, no one cared anymore. Stores wouldn’t stock video games, and Nintendo had to fight just to get their hardware into stores. ROB the Robot may be a bad joke now, and sure he was a useless piece of plastic back then too, but it allowed stores to stock the NES because it was a toy, not a video game system. It was a brilliant move, one that secured this entire industry’s strong hold on the world, introducing a variety of experiences like no other. Say what you will about what Nintendo’s become. That doesn’t matter anymore regardless of where you stand. It’s where they came from that counts, and we all owe the company a little bit of gratitude for what they did.